Custom sizes are available for Scratch &Win Air orders. Please contact us for more information. All Scratch-Off prices includes 4 Color Process print on 1 side with a color scratch-off area; silver or black. 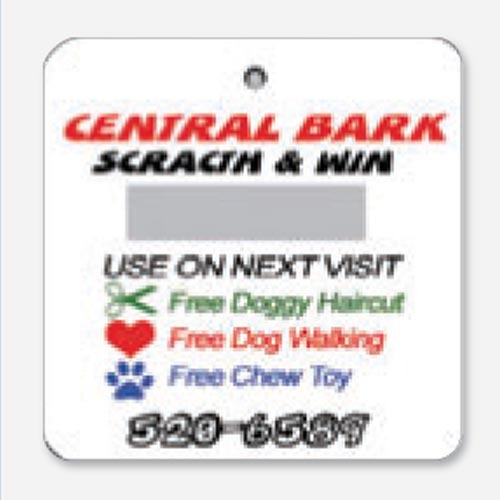 For all scratch & Win items we recommend that you use grey or 70% black under scratch off area.